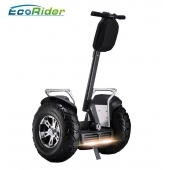 Shenzhen EcoRider Robotic Technology Co., Ltd, founded in 2013,with 6 years professional export experience, known as Shenzhen Xinli Escooter Technology Co., Ltd. before, is located at Xinzhi Industrial Zone, Shenzhen. EcoRider is our new brand for market since 2016. 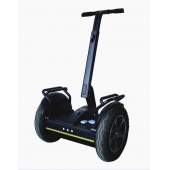 With more than 50 workers and over 2000 square meters workshop.We specialize in manufacturing electric scooter, including Balance Scooter,Electric Skateboard,Foldable E-bike,Harley Scooter and Kick Scooter.We combine researching, developing, manufacturing and marketing,and offer OEM and ODM service. Our factory is certificated by SGS,BV and TUV.We have several Design patents,Utility patents and Invent patents.Our products have latest CE, ROHS,FCC, obtained EEC/COC quality certificate.And battery has MSDS,UN38.3 safety report. And we strictly follow the standard of ISO9001. A strict QC system is our proud.Our concept is less than 0.3% defective rate and within 24 hours service response. 100% products have to process incoming quality control, production inspection, package inspection, product inspection and QC sampling inspection before shipment. Taking the great advantage of favorable location, EcoRider has rich experience in the material selection , technology developing and quality control. 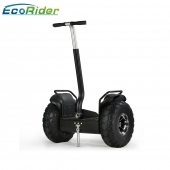 EcoRider stand for Ecology ,Conservation and Optimization,it means convenient green travel. 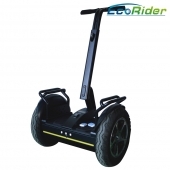 Providing latest fashion ECO robotic personal transporter is the goal for EcoRider. We have exported to more than 80 countries and areas all over the world.Our main market is Europe and America,70% was exported to Europe,20% to America and rest to Asia and Oceania etc. With reliable supply channels, independent R&D team, a young group of responsible sales representatives and quick-responding after-sales services,we owned customers’ trust and good reputation. By our young passion unity team, our annual production increased over 20% year by year. In the beginning of 2018,we set a goal of increasing 30% turnover, hope we can realize it with the cooperation of clients from all over the world.